The popular cryptocurrency exchange platform, QuadrigaCX filed for creditor protection in the province of Nova Scotia Canada as it’s on the hook for about $250 million Canadian, or $188 million USD. As many as 115,000 account holders are now forced to wait, and don’t know when or even whether or not they’ll see their assets again. Roughly a quarter of a billion Canadian dollars worth of bitcoins and other cryptocurrencies are securely locked up in a cold storage device that is only accessible to a recently deceased founder and CEO, Gerald Cotten. Cold storage in the context of cryptocurrencies refers to keeping a reserve of those currencies offline. This is often a necessary security precaution, especially dealing with large amounts. For example, a Bitcoin exchange typically offers an instant withdrawal feature, and might be a steward over hundreds of thousands of Bitcoins. To minimize the possibility that an intruder could steal the entire reserve in a security breach, the operator of the website follows a best practice by keeping the majority of the reserve in cold storage, or in other words, not present on the web server or any other computer. The only amount kept on the server is the amount needed to cover anticipated withdrawals. This parallels how many consumers use their bank accounts. Cold storage is like a savings or investment account where funds are rarely touched. But it may be used when the chequing account (hot storage) is running low or to make a large withdrawal. According to court documents, at the time of QuadrigaCX’s bankruptcy filing, the company was holding onto 26,500 Bitcoin worth $120 million, 430,000 Ether worth $60 million and several million dollars worth of Bitcoin Cash SV, Bitcoin Gold, and Litecoin. 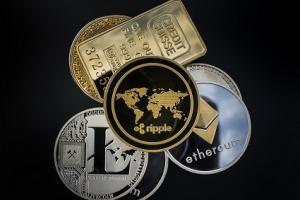 “Cryptocurrency exchanges such as QuadrigaCX operate as “quasi-banks” with none of the oversight or safeguards that regulate banks and credit unions,” said Chetan Phull, a lawyer who specializes in blockchain and cryptocurrency. “It shows how nebulous the regulatory climate is in Canada with respect to cryptocurrency and that really needs to change or else another case like this could be just around the corner. If QuadrigaCX is successful in obtaining credit protection, account holders could lose their ability to sue the company for compensation,” Phull explains. This story is far from over as the police is currently investing Quadriga. Rumors on the online discussion website Reddit has spread that maybe Quadriga is orchestrating some kind of scam and that Robertson may know more than she’s telling the officials. As someone who has bought and sold bitcoins in the past I can sympathize with the company’s clients. This situation is similar to a bank run where people smell disaster and all rush for the exit, forcing a liquidity crisis for the company. As is the case with such an unregulated industry, it’s recommended that people who buy large amounts of cryptocurrencies hold their assets offline in a cold storage that they can access themselves instead of trusting it with a third party such as an exchange to keep it safe. Note: This article originally appeared at Modest Money. The author of the article is Kevin. Kevin is a graphic designer from Vancouver, BC. He runs the site Freedom 35 Blog in his spare time and writes commentaries about business, investing, personal finance, and economics. « Should You Consolidate Your Debt? Sign-up now for the Dynamic Wealth Report - It's Free - and we'll send you this report immediately! 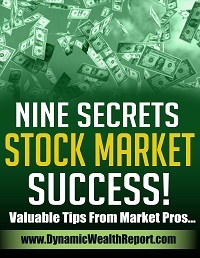 Nine Secrets To Stock Market Success! © 2019 Dynamic Wealth Report. All rights reserved. Theme by Solostream.